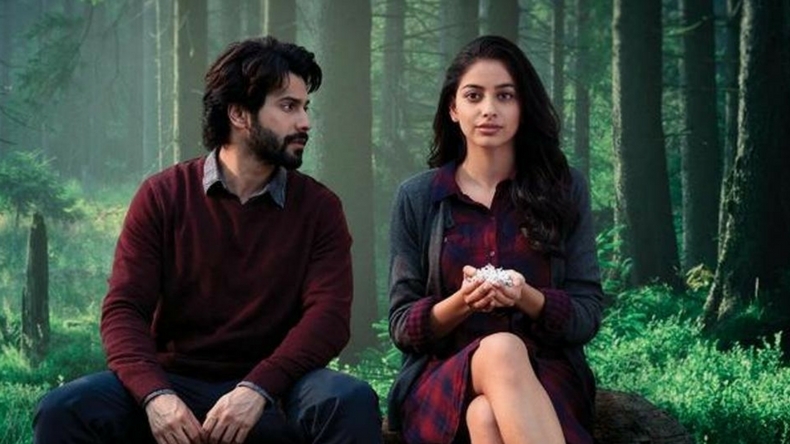 October movie review: October stars Varun Dhawan and Banita Sandhi in leading roles and is directed by Shoojit Sircar. The movie is a story about love that exists between Shiuli and Dan, love that is unsaid and yet there. The movie will make you laugh, cry and feel emotions that you never thought a movie will make you feel. Yes, it is a little slow paced when compared to other movies but this movie runs at a pace that fits perfectly with the characters. A lot has been going around about how October will turn out to be because the trailer did not give much away, it seemed like an unlikely story that generally falls flat in Bollywood, but Shoojit Sircar has achieved something, many directors only dream in achieving, A STORY. October was described as a story about love and not a love story and that is a description that fits perfectly. The story starts off perfectly and there is no shot, no moment that feels out of place, stretched or unnecessary. The movie is an editing masterpiece that has a storyline that reaches completion without a moment of lag. October is directed by Shoojit Sircar and stars Varun Dhawan and Banita Sandhu in lead roles. The story revolves around Dan (Varun Dhawan) as he tries to make it in the hotel management sector and Shiuli (Banita Sandhu) is someone who works with her but these two never have a meaningful conversation or exchange more than two words until one day tragedy strikes and their lives are intertwined in ways that neither of them would have imagined. For some unexplained reason, Dan makes Shiuli’s recovery his ultimate priority, losing everything else in his life. The movie never outright shows that they love each other, there is no grand proposal or announcement of love and yet it is there, quietly moving along with their lives. The movie is the epitome of cinematography and editing, Shoojit Sircar intricately uses seasons and flowers to depict the passing of time and no movie has ever had better cut-shots. Every edit, every cut and every shot adds to the movie. But the one thing that will surprise anyone who goes in to see this movie is Varun Dhawan. Dhawan showcases his best performances in the 6 years long career. Yes, Badlapur was great but one-dimensional, this movie brings out emotions out of an actor who you have seen pelvic thrusting in all of his movies. There are no songs until the credits roll and honestly, they are not needed. Actors like Geetanjali Rao who plays the role of Shiuli’s mother uplift the movie and make it even better. This is a must watch and the best Bollywood has produced in a long time. Even though it is slower than most movies, the pace fits perfectly with the lives of the characters, so don’t get impatient, just give it a chance to grasp you in and it will.